This documentary explains how adverse childhood events impact physical and mental health outcomes from childhood through adulthood. A community dialogue, facilitated by the Alliance for Safe Kids, aimed at sharing perspectives on how to better support the community’s hopes for its youth, families and overall health will follow the screening. Registration not required. 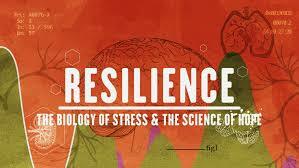 Presented in partnership with the Resilience Coalition, the Westchester Library System and the Somers Library.